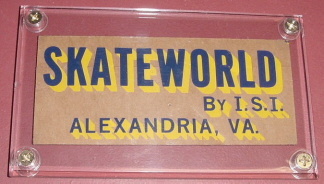 151: Skate World Virginia 1977…Old school Skate park! Anyone recall? 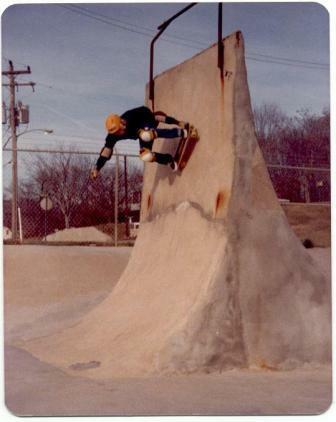 Killer 1977 shots from John Egertson…A skate Park and Star Wars in the theater…good times. According to John the park was located on Wheeler (really!) Avenue in Alexandria VA. Moguls, a pool and that crazy vert wall. Anyone remember any of the SkateWorld Team Members: Connor Mulroney (Dermot Mulroney’s brother…Really!) Miles Rolf, Mike and Dave Alexander, Jimmy Treece and Steve Kelleher. If you are out there or know any of these peeps…. get em!! Pat Clark, Mike “Micro” Mapp, Bruce Adams and Mike Kresky (Powell Peralta) are all known to have skated here….So there have to be more pics! If you have any pics from Skate World or know any of these peeps send me an email. CLICK HERE FOR The TEAM STEAM 1987 PHOTO ANNUAL. Take the time to sign the map or add a skate spot to it. 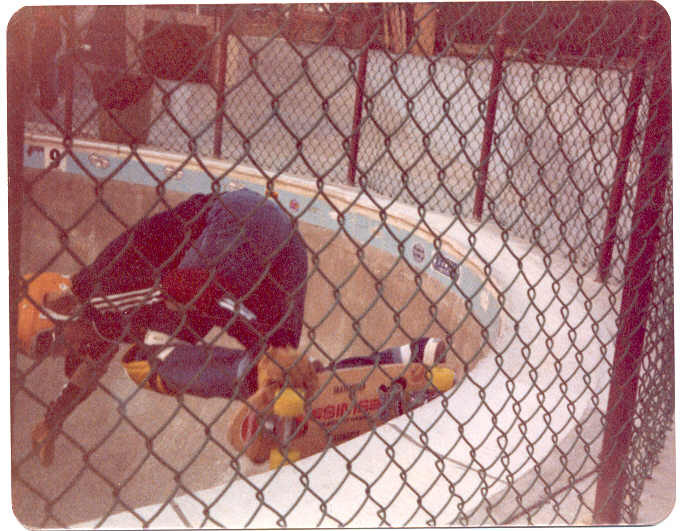 This entry was posted in 1977, Dave Alexander, Jimmy Treece, John Egertson, Mike "Micro" Mapp, Mike Alexander, Mike Kresky, Miles Rolf, Pat Clark, pool Skating, SKATE PARKS:, Skate World, SPOTS:, Steve Kelleher and tagged 1977, ART, backyard ramps, boards, east coast, jason, Jason oliva, jasonoliva, New Jersey, New York City, oliva, paintings, photography, pool Skating, ramp, ride, sk8, sk8t, skate, skate decks, skate history, skate photography, Skate ramps, skate trucks, skate wheels, Skate World, skateboarding, skateboarding history, skateboarding photography, skateboards, skatepark, skater, SKATERS, steam, Street Skating, TEAM STEAM, The Barn, The House of Steam, thos, vert, vert ramps, Vert Skating, Virginia on June 13, 2007 by jasonoliva.